The artists monograph series from Laurence King Publishers continues in 2015 with three artists, Henri Matisse, Vincent Van Gogh and Paul Cezanne. I had reviewed the books for Dali and Pollock last year. Matisse's art doesn't really speak to me, however the story of Matisse's life written by author Catherine Ingram is still a delight to read. I just don't know what's with these artists and their interesting life. The illustrations provided by Agnes Decourchelle are wonderful also, complementing the text perfectly. 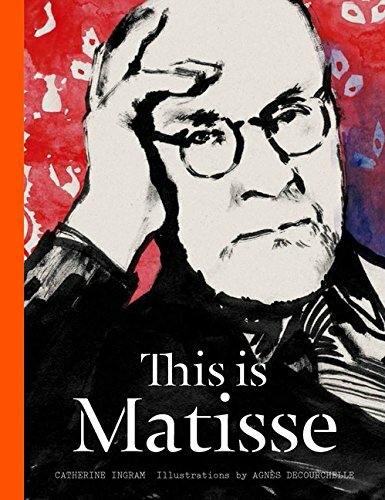 If you're a fan of Matisse's art, or you are interested in the lives of famous artists, this is a great book to get. This is not meant to be a detailed analysis of Matisse's life and work, but more like a condensed version to introduce who the guy is.